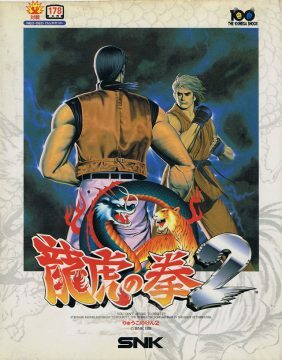 Taking place a year after the original game, Art of Fighting 2 tells the tales of both the first King of Fighters tournament and the corrupt police commissioner Geese Howard’s rise to power as crime boss of Southtown. 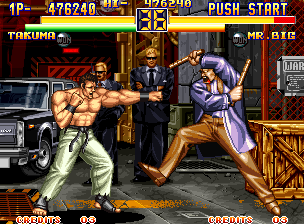 It’s revealed that Mr. Big was working for Geese during the events of the original. 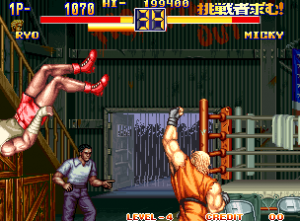 Geese had threatened the lives of Takuma’s children to force him to work for him. 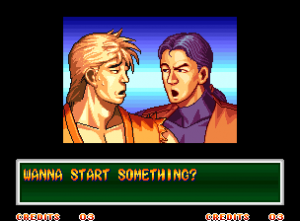 This led to Takuma disappearing and taking on the Mr. Karate identity. 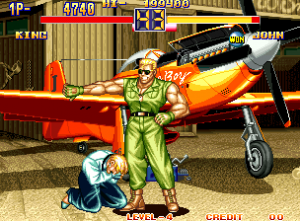 Geese asked Takuma to kill martial artist Jeff Bogard and Takuma refused. While Geese was on a business trip, Mr. Big kidnapped Yuri to persuade Takuma, leading to the events of the first game. 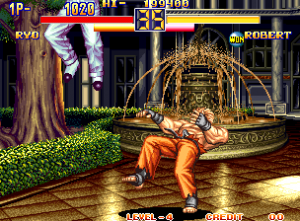 Geese later kills Jeff Bogard himself, which leads to the events of Fatal Fury. 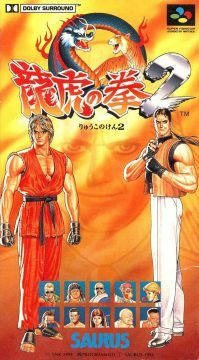 A much younger Geese actually appears in-game as a non-playable boss character, with a different outfit and moveset than his other appearances. 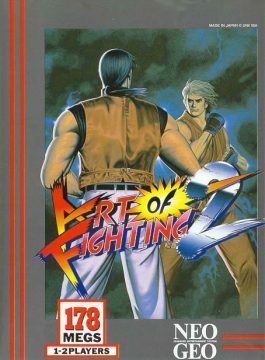 Art of Fighting 2 plays almost exactly like the original, but it’s a bit more refined and generally improved in virtually every aspect. Todo is gone, but everybody else is back, along with a few more playable characters like Yuri, Kisaragi and Temjin. 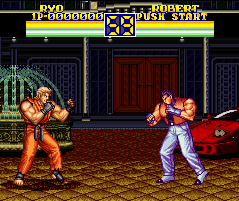 Unlike the original, all of them are available in single player mode. However, the controls have been very slightly modified. A and B still punch and kick respectively, but if you hold A or B, as opposed to just quickly tapping them, it will result in a more powerful punch or kick. 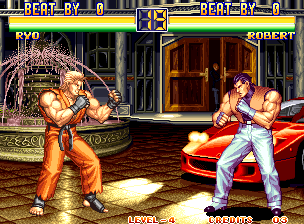 This idea was later implemented in each of SNK’s fighters for Neo Geo Pocket Color. Otherwise, the basic actions and the commands are the same. 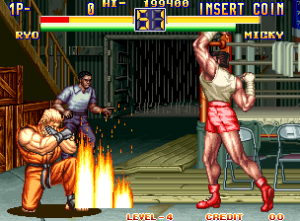 Ever the cutting edge fighter series, there were a couple of cutting edge techniques brought into the series. 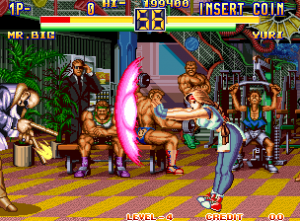 A few characters have been given air throws and you can even recover from a throw by pushing A, B, or C immediately after being thrown. The graphics this time around are even better. 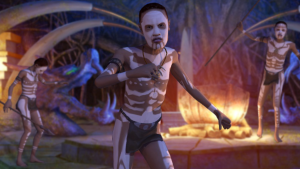 There is way more going on in each background and everything looks huge. 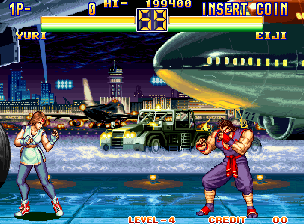 The fights are set against large planes, boats, and traffic, with large groups of spectators in the immediate background. This approach establishes a sense of scale that gives the levels a sense of enormity – it makes everything big seem that much bigger and everything small seem that much smaller. 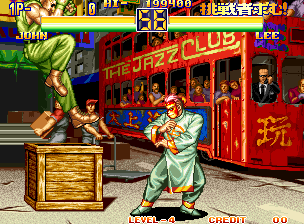 Especially noteworthy is the presence of Geese’s suited thugs watching over the proceedings of the tournament in the background of a few levels. King’s shirt will still explode if she is defeated with a fireball, but this time so will everyone else’s! 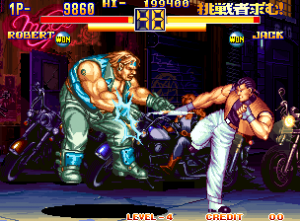 SNK fighters are known for having bosses so absurdly difficult that the phrase “SNK Boss Syndrome” has been coined to describe nigh-impossible video game bosses. Well, Art of Fighting 2 has easily one of the most difficult single player modes in a fighting game ever. 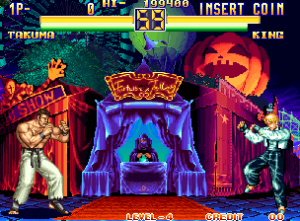 Nearly all of the opponents are unrelenting, blocking all of your attacks and effortlessly countering your every move. 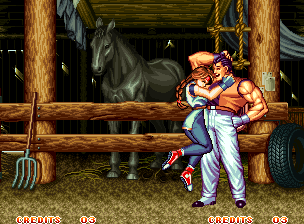 It’s like suffering through SNK Boss Syndrome for the entire game. When you have a huge amount of trouble just getting past the first CPU opponent, it can get a bit discouraging. Its difficulty in single player mode might make it too unfriendly for most people to get into, but Art of Fighting 2 really excels in versus mode. With the challenge balanced out by playing against a human opponent, its refinements to the original game make for excellent two player matches. 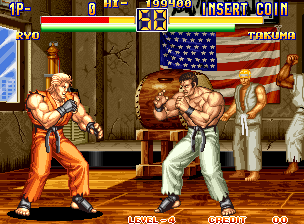 Its innovations were becoming standardized in 1994 and were no longer as original, but with everybody available in 1 player mode, a larger character roster, improvements to the control setup, and a few beneficial gameplay changes Art of Fighting 2 serves as an ultimate refinement of the original. Among the “ordinary” 16-bit platforms, Art of Fighting 2 was only ported to the SNES. This version is nothing short of a disaster, with horribly inaccurate visuals, atrocious controls, and slaughtered game physics. 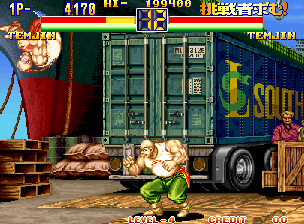 Needless to say, this port is best avoided, although there is a code that lets you play as Geese. 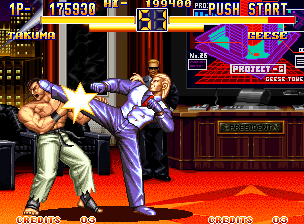 Like the original, in 2006 the arcade version was ported with the rest of the trilogy as part of Art of Fighting Anthology for PlayStation 2.